Here we are...the last Friday of the month! How many freebies have you scored through this October hop? Wow! Awesome!! I've shared my Halloween fun with you & some of my Thanksgiving centers that I use in my classroom. 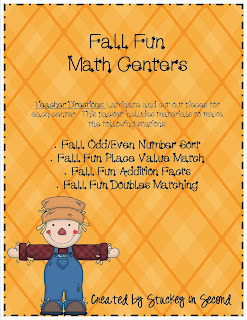 This week I'm sharing some general fall stuff that can be used in October and November! What the heck...I might as well give one more freebie since this has been so fun! Don't forget to go over to Abbie's TPT store!!! Abbie is my teaching neighbor. She teaches 1st grade and is always having tons-of-fun in there! Check this out! 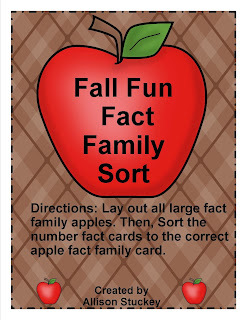 To continue on our Friday Fall Freebie Hop, click on the picture below! Score! So glad I stopped by. Thank you, for sharing! What a great freebie! I love the math strategies that are covered!